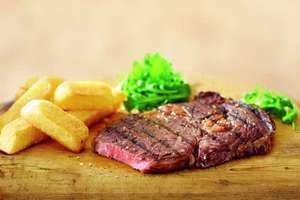 Whether you're being healthy, or serving it up alongside lashings of sauce and chips, it doesn't get much better than a big juicy steak. And it's good news for meat-eaters, as discount supermarket Aldi have just announced that they're offering the most expensive steak cuts in the world for a decent £7.99. Set to hit shelves this Thursday (that's the 26th), the prized steaks have previously sold out in a matter of days, and being a Specialbuy, once they're gone, they're gone forever. £7.99/kg? You're either out of touch or very optimistic. It's for 227g. A bit over £35/kg. The Ribeye cut comes from between the rib bones of the bull and is marbled with more fat than most steaks, meaning it offers the boldest flavour. I don't know what an omly is, so I can't tell you. Any body tried this any good ? They tend to sell these sort of things for the same price per pack rather than by the kilo, for example the big fathers day steaks were all the same price per pack. Thanks for the heads up, wouldn't mind trying a couple of sirloins. The wagyu burgers are good for the money when they come in. I had never heard of them, but now that I have, I might just try making some myself. I had never heard of them, but now that I have, I might just try making …I had never heard of them, but now that I have, I might just try making some myself. Aldi sell them but you can never get hold of them. I've made halloumi chips at home and they are lush. Aldi sell them but you can never get hold of them. I've made halloumi …Aldi sell them but you can never get hold of them. I've made halloumi chips at home and they are lush. I doubt very much they'll be frozen. To all stake specialists... On normal day to day basis, what's the best place to buy sirloin and ribeye? From what I was told the more white 'veins' the better? To all stake specialists... On normal day to day basis, what's the best …To all stake specialists... On normal day to day basis, what's the best place to buy sirloin and ribeye? From what I was told the more white 'veins' the better? so how would they last on a ship from new Zealand? £7.99/kg? You're either out of touch or very optimistic. It's for 227g. A …£7.99/kg? You're either out of touch or very optimistic. It's for 227g. A bit over £35/kg. It's maybe just a dash to you, but it's my livelihood. That's extreme Wagyu. Some actually has some meat in it. I like Morrisons The Best Ribeye. Good thickness, good marbling and aged for a bit. 1h in the Anova at 53C and 25 seconds a side on a hot cast iron skillet for medium rare. I like Morrisons The Best Ribeye. Good thickness, good marbling and aged …I like Morrisons The Best Ribeye. Good thickness, good marbling and aged for a bit. 1h in the Anova at 53C and 25 seconds a side on a hot cast iron skillet for medium rare. I have had some very nice fillet steaks from Morrisons in the last few months too that come out superb at 52 C for about 90 minutes using my Anova too. Is it the steak or the Anova I wonder, I keep meaning to get a much cheaper cut and try it for about 8 hours to see how that comes out but haven't got around to trying it yet. Came to decide whether to nip to Aldi to try some of these steaks on the BBQ. Left wanting a kitchen gadget as well. There must be some kind of therapy available for hotukdeals users. My new year's resolution was to take a break. Lasted 1 day. The thought of missing a bargain (shudders). I love this site so much. I don't think I've bought much I don't actually use, just so much stuff I didn't know I needed until I saw it on here and then HAD to buy it as it was such a bargain. Don't get me started on headphones. There is very little regulation on the ability to call something Wagyu. 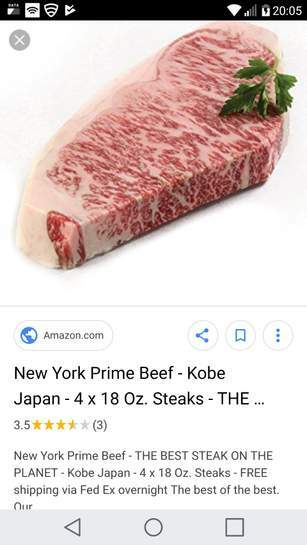 It's just enough that the bull that fathered it to be Wagyu, meaning unless you source the beef from Japan, you're getting something that's only half-Wagyu. This is going to get even worse once we start getting into third and fourth generation bulls (each offspring to a mixed Wagyu bull and non Wagyu cow). 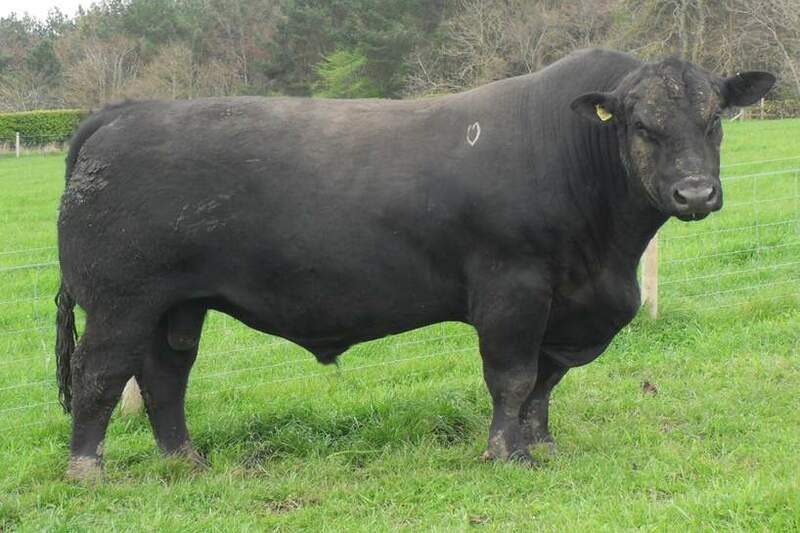 With current regulation there will be little way to tell if you're just getting a common UK breed with a tiny drop of Wagyu Genes or a fully fledged one. There are UK farms determined to keep their cows as close to pure bred as they possibly can though. There is a desperate need for some sort of Wagyu kite mark so you can tell is you're getting something 10% Wagyu lineage or 100%.. Looking at that steak in the picture, there's nowhere near the marbling you should expect. 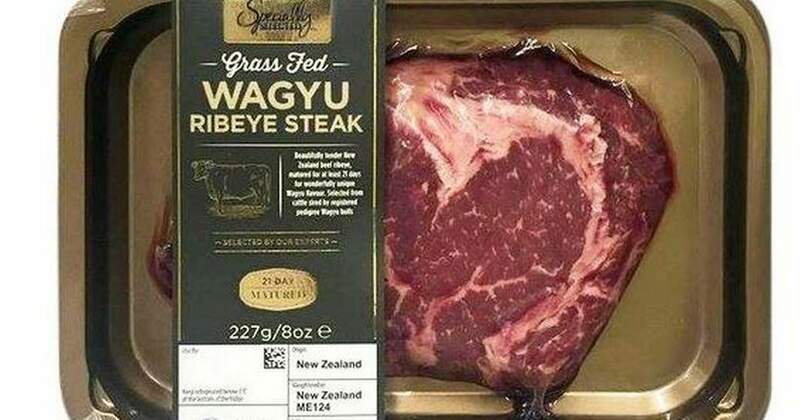 It's not Wagyu, not even remotely. Real Wagyu costs way more than this, even knockoffs. I saw these for the first time in Aldi last week - in the freezer section. Tried them at the weekend and found them super super salty. Worth a try, but definitely not my taste.